Alexis Kashar is a civil rights and special education attorney. She holds a B.B.A. and a J.D. from the University of Texas and is licensed to practice in New York, D.C. and California. She is active in several local organizations. Ms. Kashar through her volunteer work with JDRC inspired the creation of the UJA-Federation of NY's first ever Jewish Community Deaf Interpreting Fund. She is the current President of the Board of Trustees for the New York School for the Deaf in White Plains and the chairperson of the Civil Rights committee for the National Association for the Deaf. Alexis lives in Scarsdale with her husband and their three children. "JDRC's unparalleled contacts and experience have proven tremendously valuable as New York's Town & Village (T&V) Synagogue has endeavored to serve our Jewish Deaf neighbors. We've been fortunate to have worked so closely with them in the past few years and look forward to continued fruitful collaboration for many more yet to come"
Rabbi Rebecca L. Dubowe joined Temple Adat Elohim in 1997, following her tenure at Anshe Emeth Memorial Temple in New Brunswick, N.J., where she served as Associate Rabbi for four years. A native of Los Angeles, Rabbi Dubowe was ordained by Hebrew Union College – Cincinnati, Ohio. She holds a B.A. in Jewish Studies from the University of Judaism and an M.A. in Hebrew Letters from HUC. 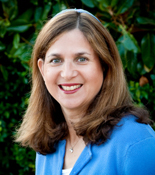 Currently, Rabbi Dubowe serves on the board of the Women’s Rabbinic Network, the national Reform women rabbis’ organization. Previously, she served on the board of the RAIN Project, the transitional shelter for homeless families, in Camarillo. Rabbi Dubowe is deeply committed to serving the spiritual and educational needs of this congregation. In addition to her rabbinic responsibilities and dedication to the entire Temple family, Rabbi Dubowe focuses her attention on overseeing the Temple’s youth programs, coordinating its adult education programs, and teaching B’Nai Mitzvah students. Rabbi Dubowe is married to Michael Dubowe and they have two lovely daughters, Rachel and Arielle. During the course of his career, Dr. Hurwitz has been involved in a variety of professional and deafness-related organizations. He has served on the boards of several of these organizations, including the Rochester (N.Y.) School for the Deaf, of which he was also president. He is a past member of the board of directors of the National Captioning Institute. He is a past president of the National Association of the Deaf as well as past president of the World Organization of Jewish Deaf. Dr. Hurwitz lectures extensively and has been widely published. Marlene Post is a director and founding board member of Birthright Israel. She is a past president of Hadassah, a women's Zionist organization and has been an advocate for those seeking access for most of her life. She was instrumental in setting up JDRC as a 501(c)3 non-profit national organization. Erica Brett Silverman was raised in Woodstock, NY and received a BS in Computer Science from Rochester Institute of Technology in Rochester, NY. The National Technical Institute for the Deaf exists on the campus of RIT and it was there that she developed an appreciation for the Deaf community and a love of sign language. Erica lived on and later served as a resident advisor for an integrated floor of hearing and hearing-impaired students while also working as a note taker and part-time interpreter. Erica is married to Jerry Silverman, current President and CEO of Jewish Federations of North America, and they reside in Newton, MA where they have lived since 1994 with their 5 children. Erica is currently the Business Manager of Camp Ramah in New England and is the Honorary Chair of Women's Philanthropy of Combined Jewish Philanthropy of Boston. 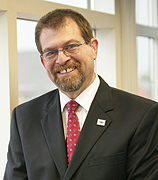 Dr. Stephen F. Weiner is provost, or chief academic officer, of Gallaudet University. In this role, he provides leadership for all academic units at the university, including its pre-college, undergraduate, graduate, and continuing education programs. He also oversees the offices responsible for enrollment management, student affairs, academic technology, the university library and archives, American Sign Language diagnostic and evaluation services, student support services, academic quality and planning, assessment, and institutional research. A native of Brooklyn, New York, Dr. Weiner earned his bachelor’s and master’s degrees at Gallaudet, and his doctorate from American University. He has served as administrator of two non-profit organizations and as dean of a school for deaf students. At Gallaudet, he has held several administrative posts, including director of the Career Center and dean of the School of Undergraduate Studies. He is a tenured professor in the Department of Communication Studies, and has served as provost since July 2007. Naomi Brunnlehrman is the Co-Founder of JDRC and has been a volunteer advocate for the rights of Jews who communicate in ASL for over thirty years. She has her MA from JTS and is a pioneer in the field of Hebrew to ASL Interpreting. She has been described by many as "Chazan of the Deaf."